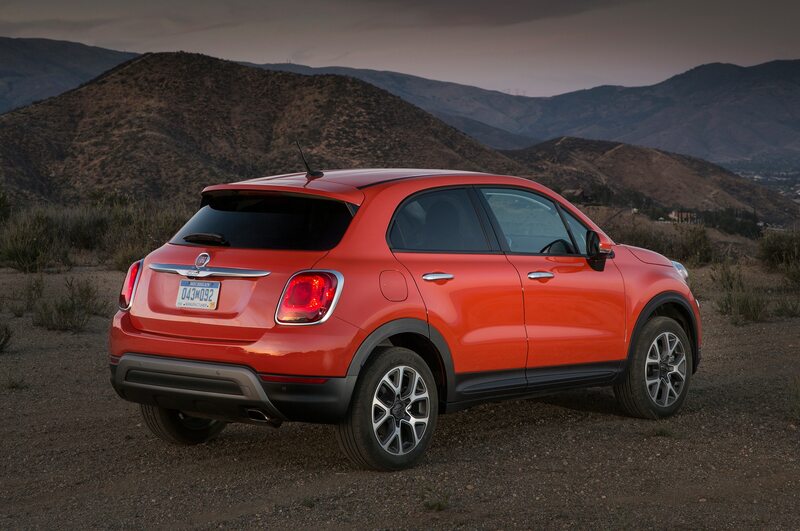 BEVERLY HILLS — Like the universally unloved 500L, the Italian brand’s new crossover-utility vehicle, the 2016 Fiat 500X, comes available in Trekking off-road-like trim and in slightly more subdued, urbane Street series trim. 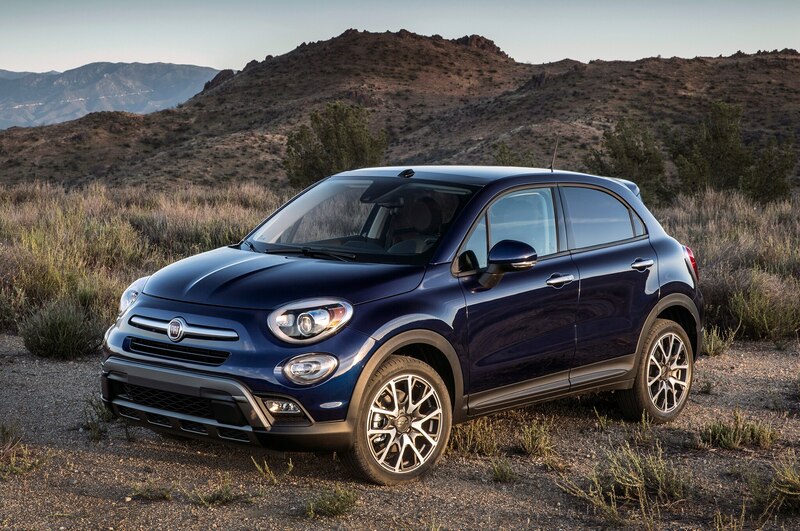 This 500 iteration will be loved, or at least liked, and is destined to be Fiat’s volume model in the U.S. 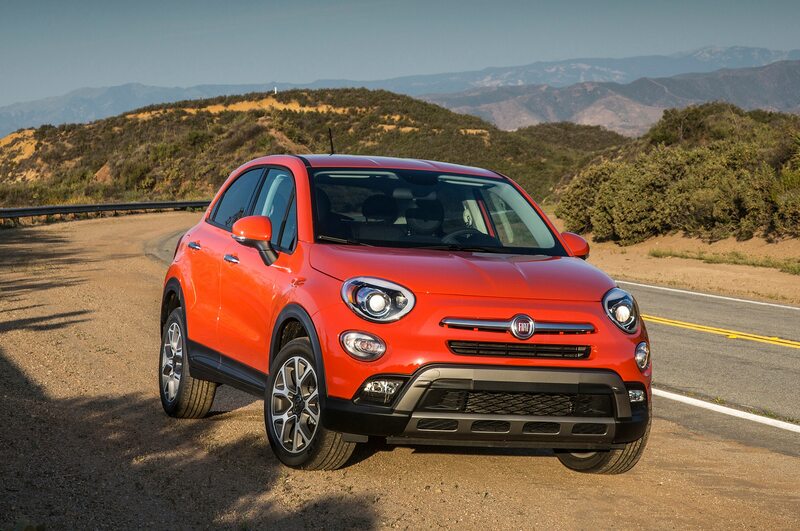 While it’s the second Fiat Chrysler product to use a new B-segment/subcompact platform after the Italian-built Jeep Renegade, visual cues foreshadow the way this appealing little number crosses over toward the versatile urban hatchback side of the spectrum. 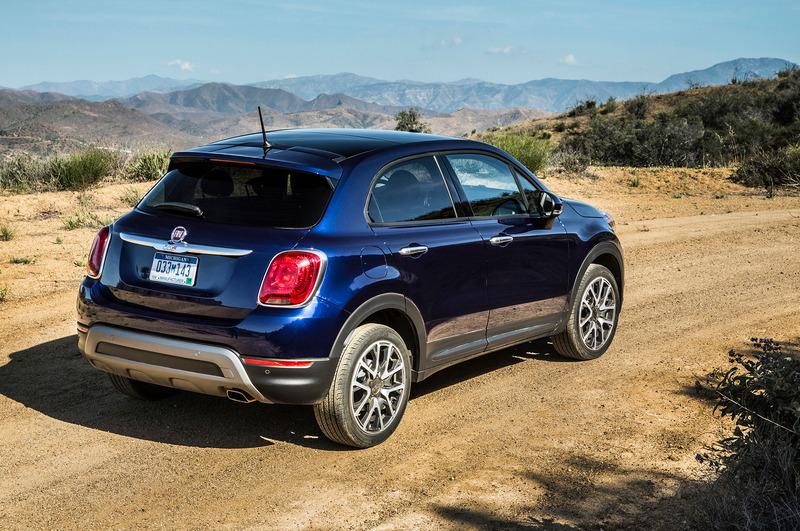 Skip the Trekking models with their faux brush-bar front and rear lower fascia (and specific interior trim), and the Fiat 500X looks very much like a raised 8/5ths-scale four-door 500. 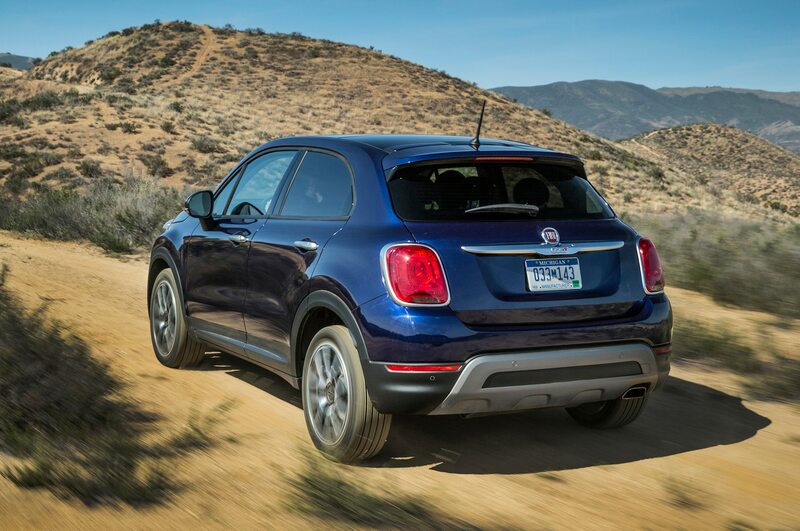 There are no mechanical or suspension differences between the Trekking and Street series. 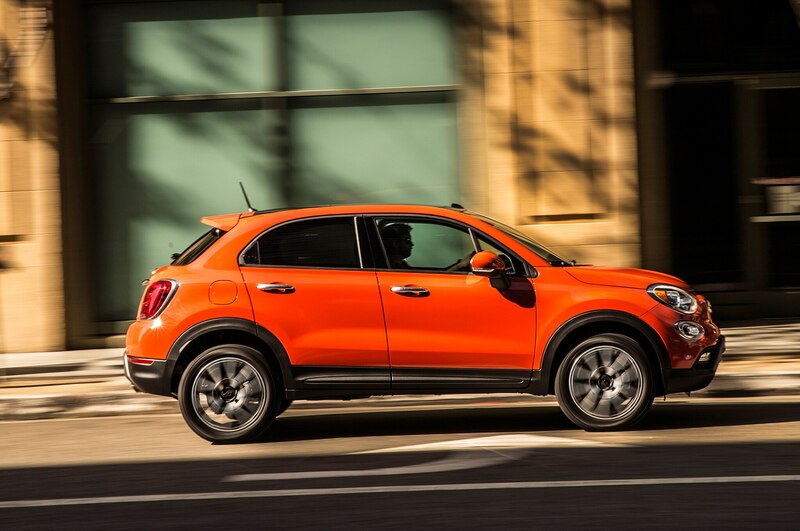 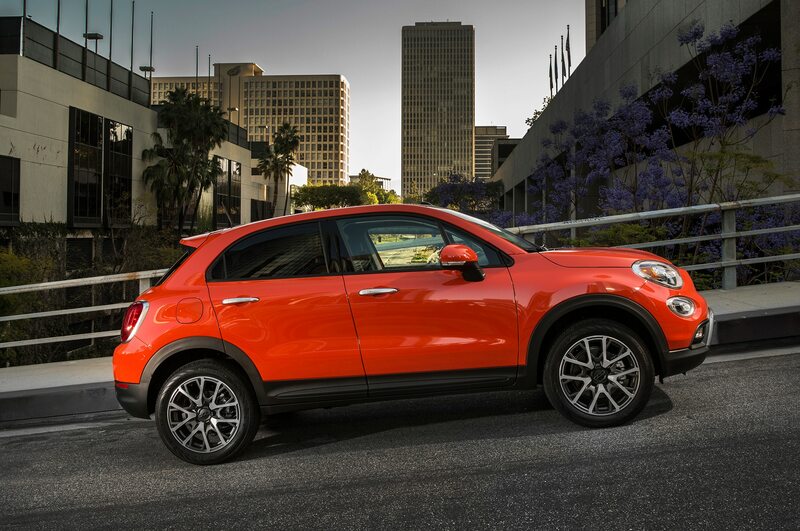 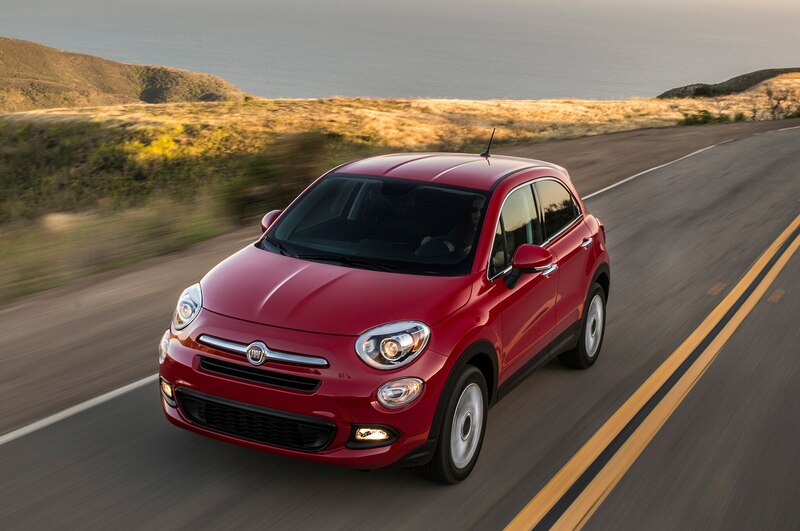 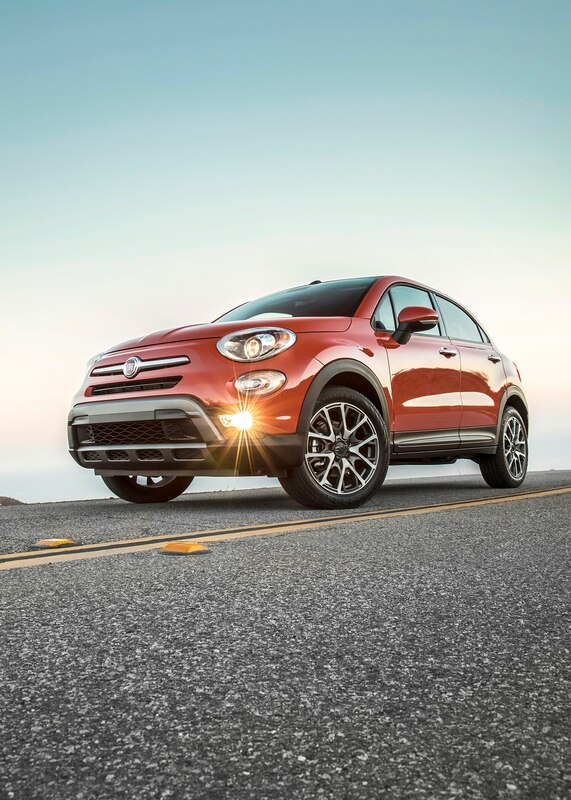 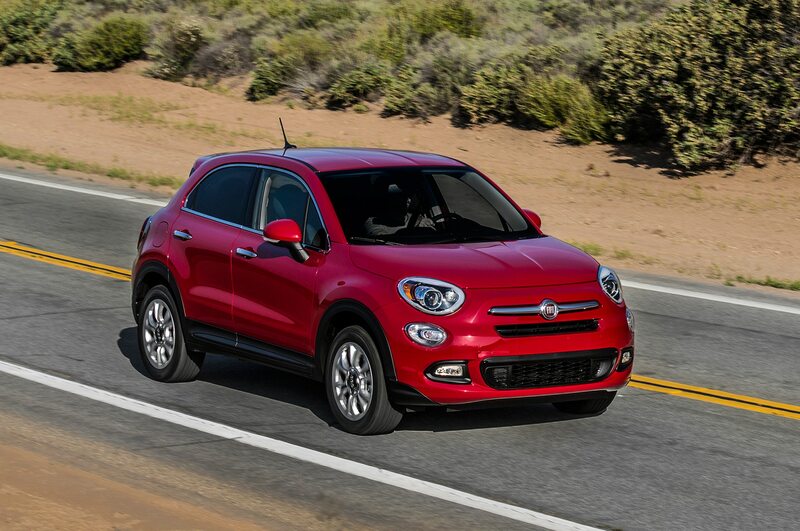 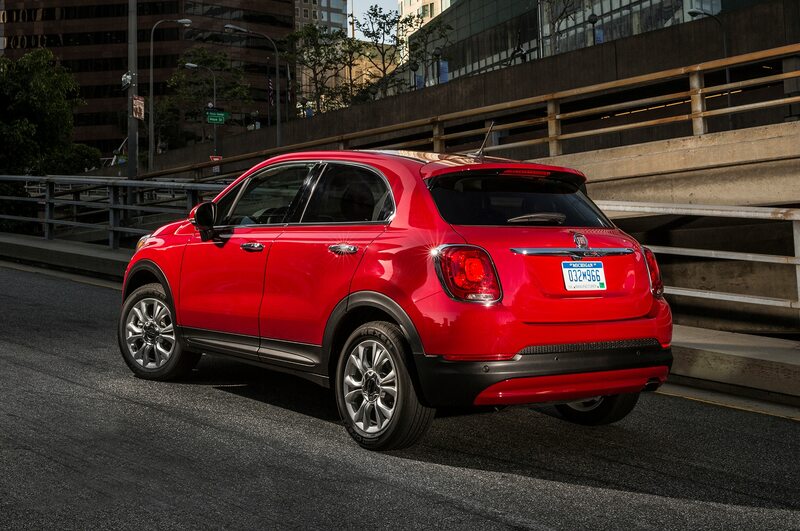 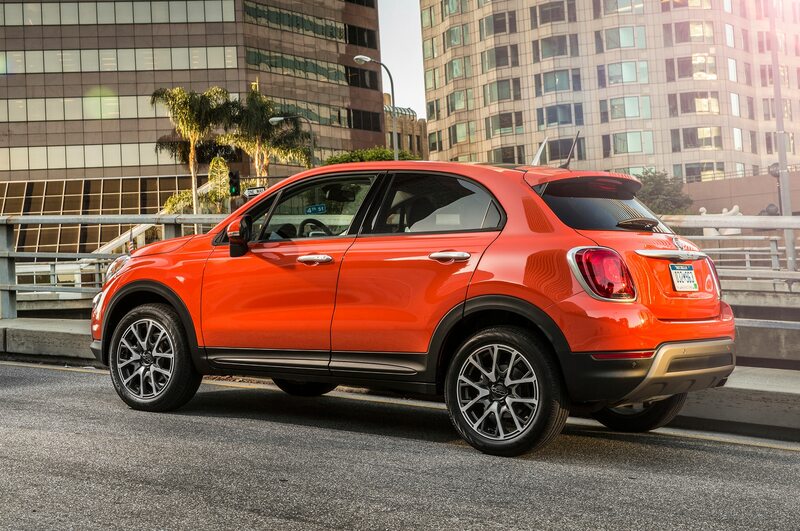 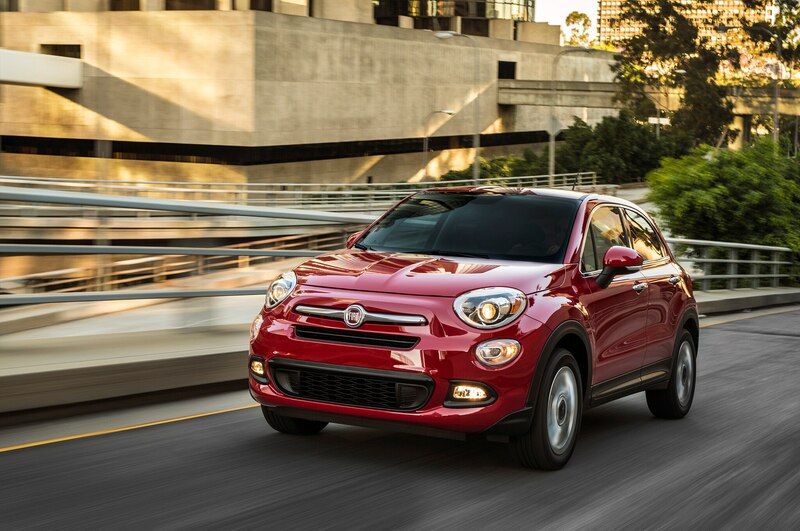 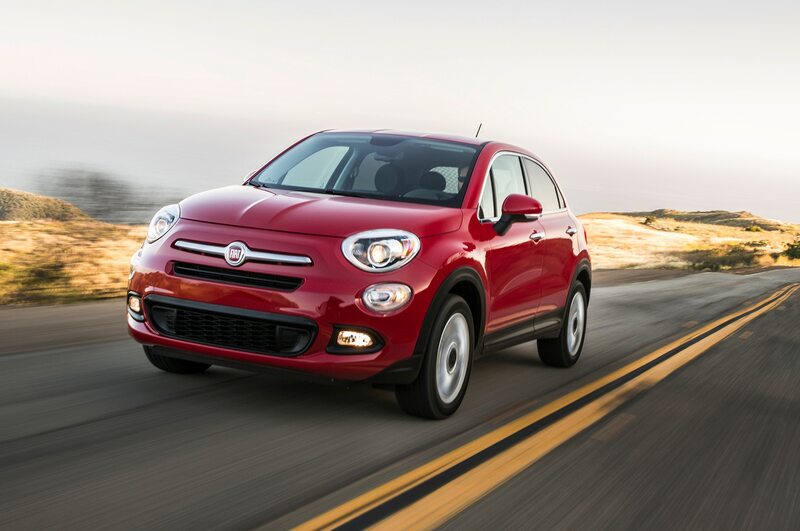 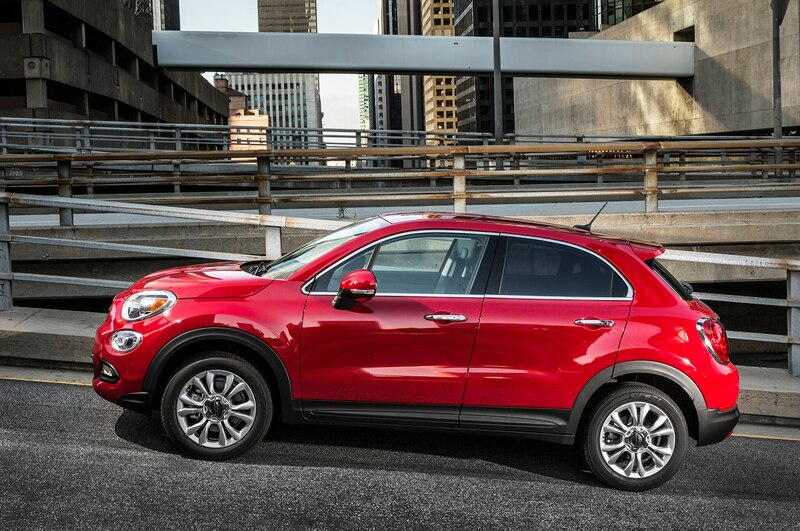 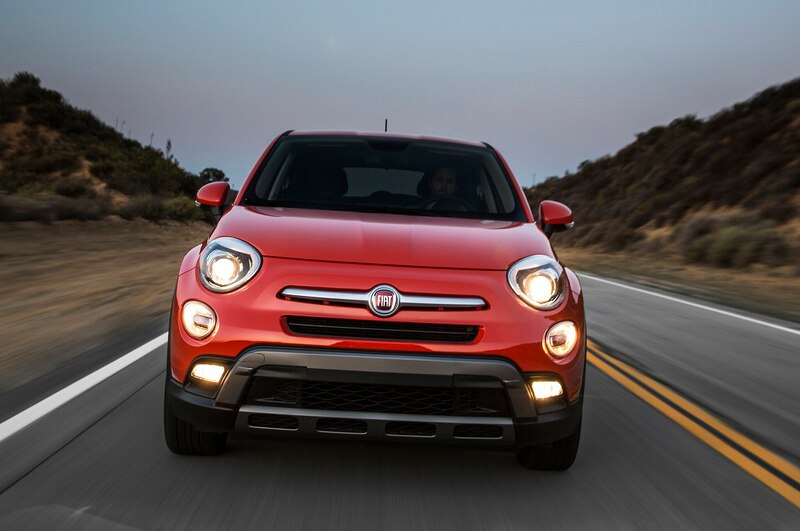 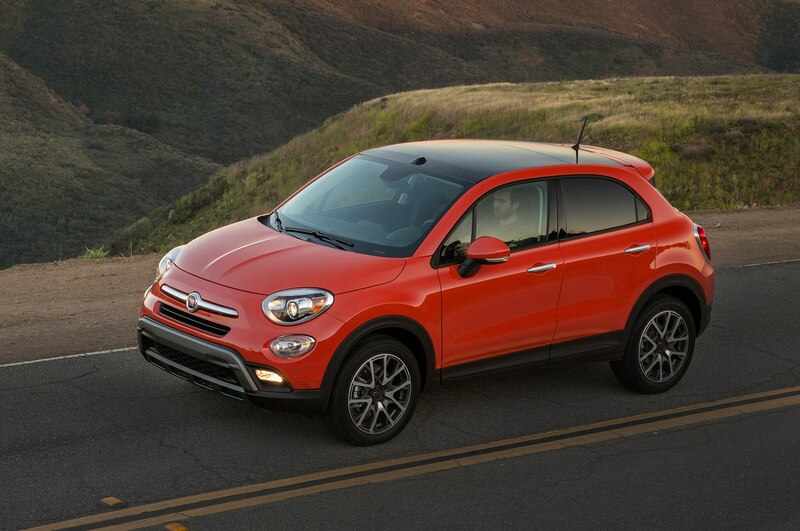 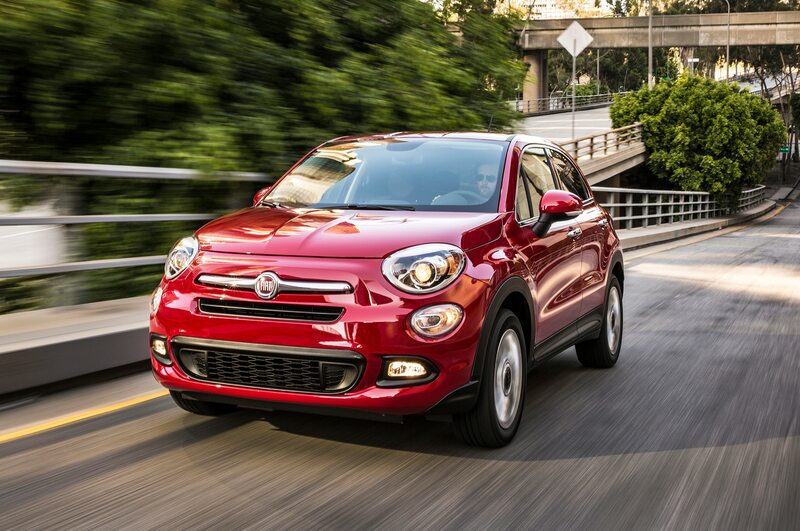 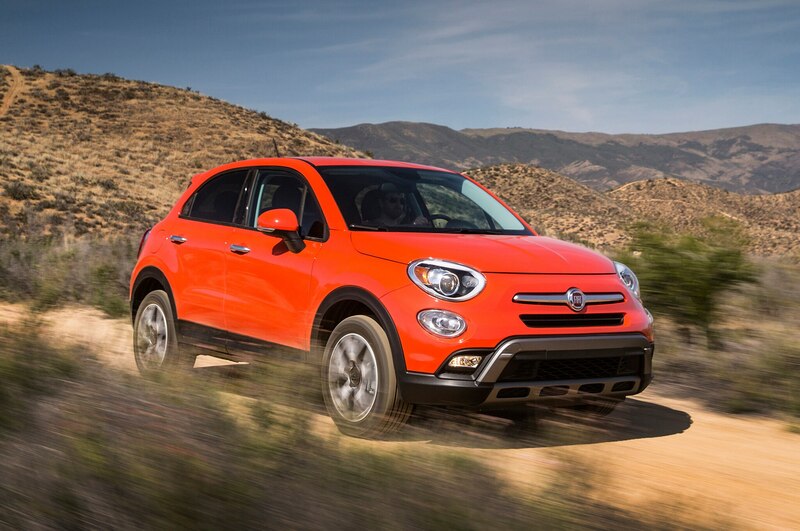 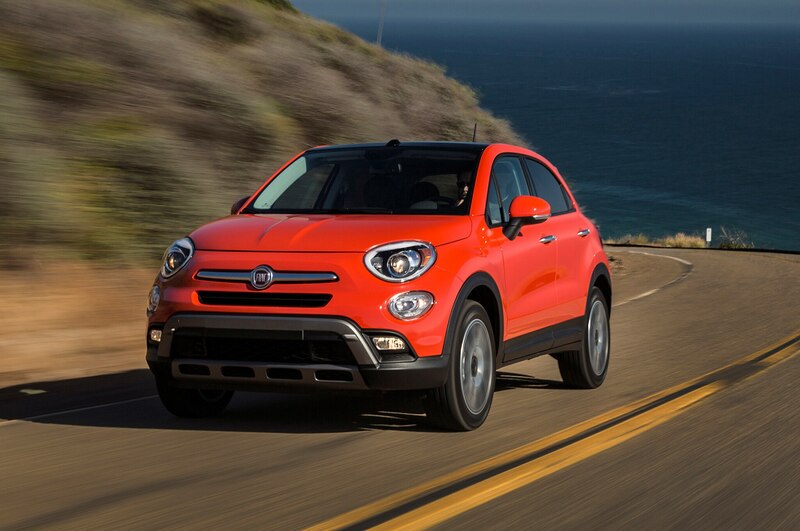 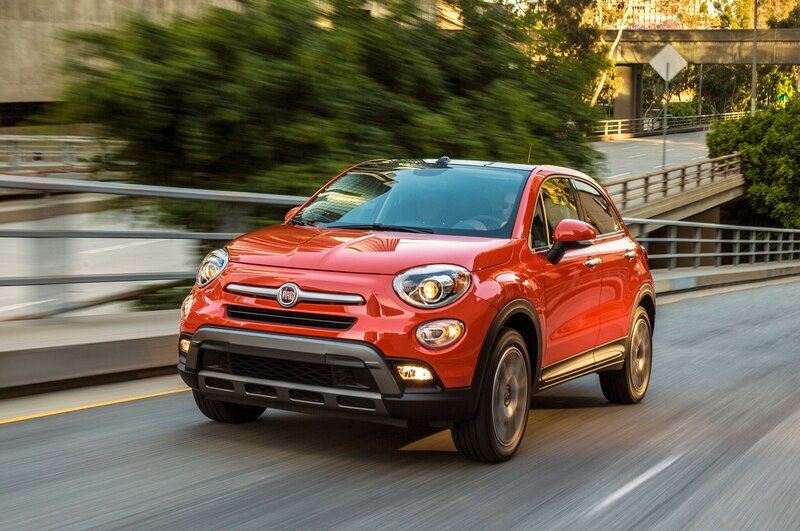 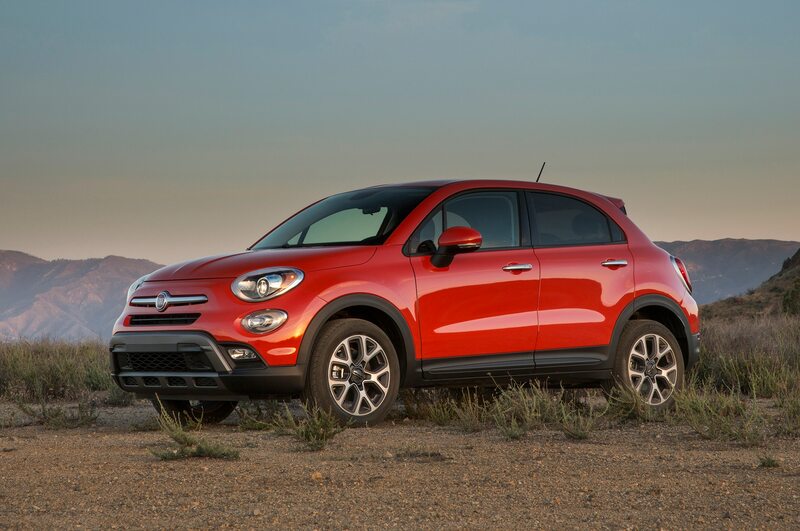 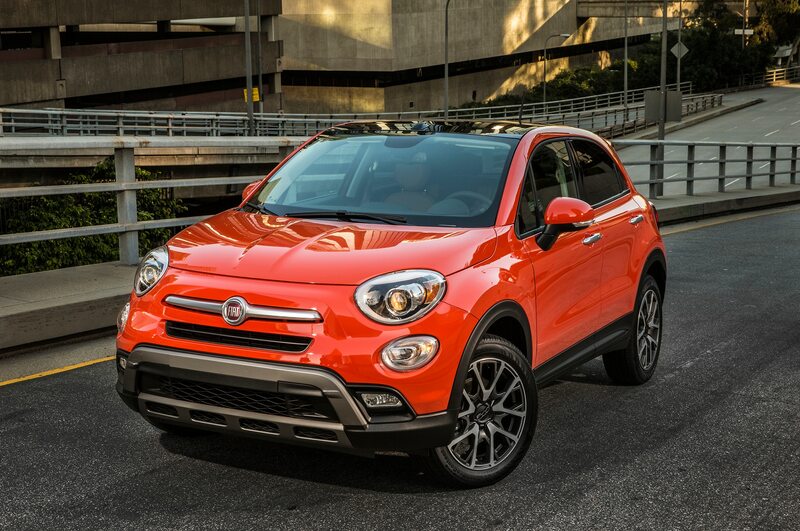 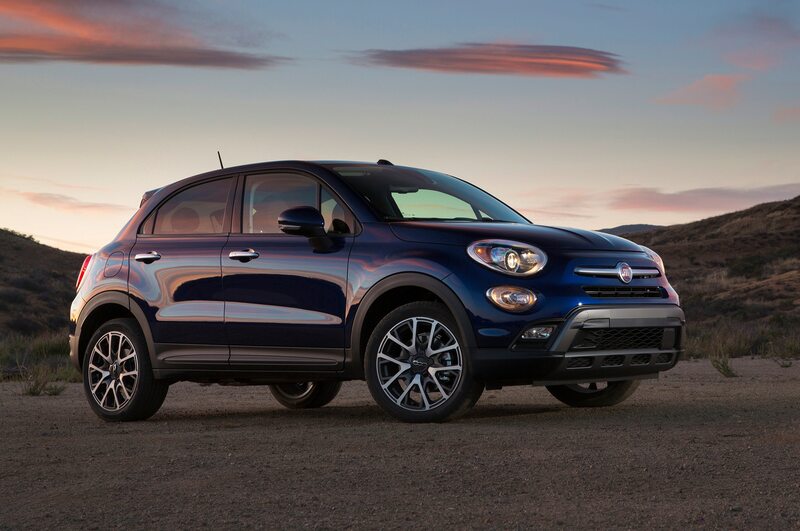 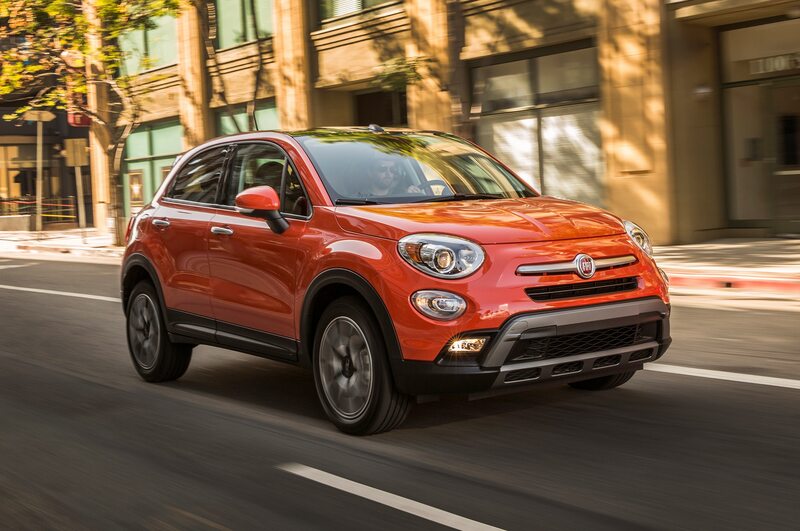 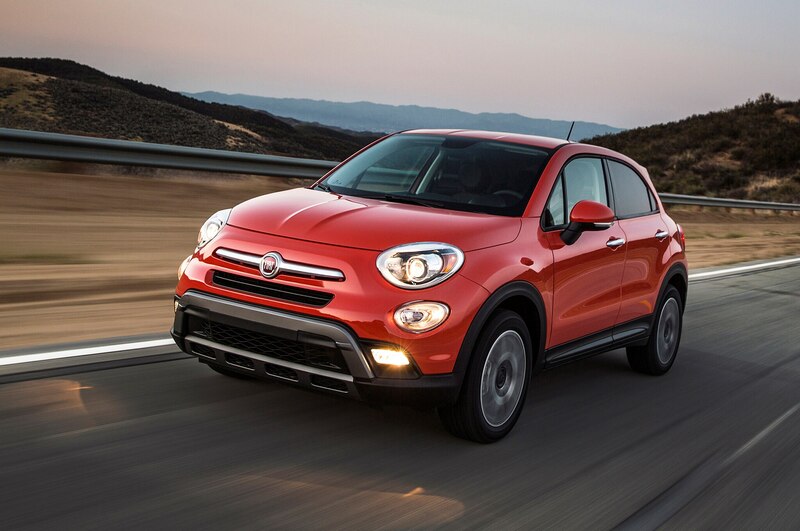 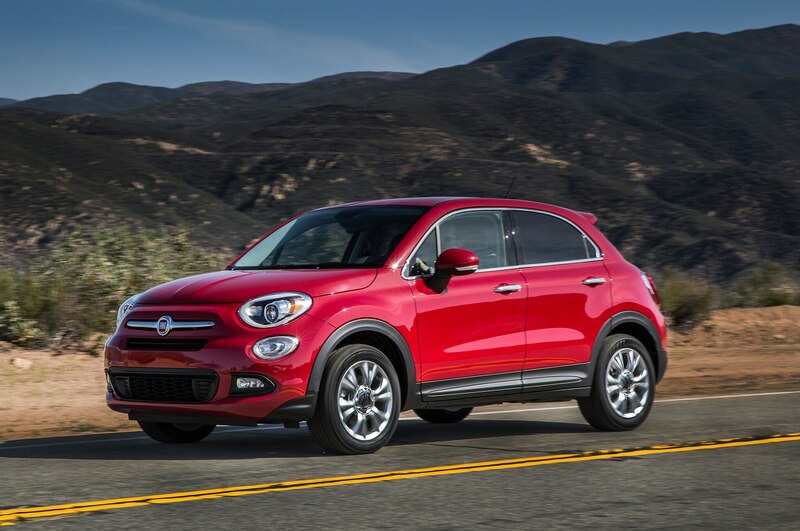 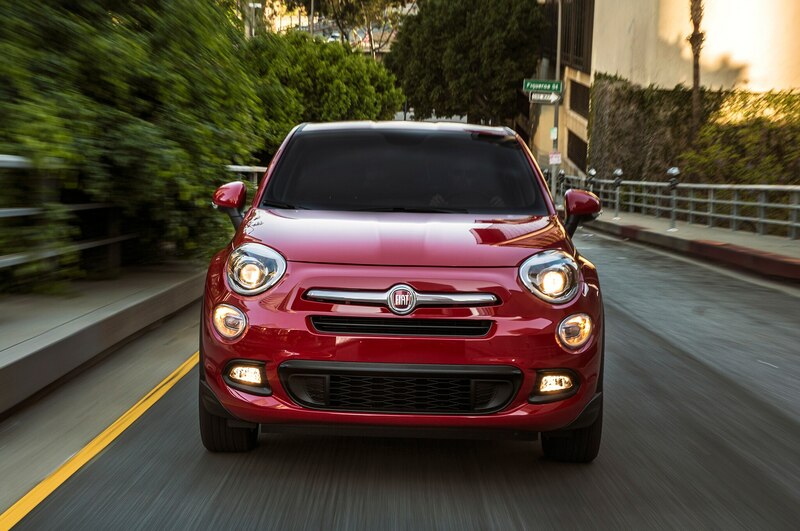 The 2016 Fiat 500X allows for nice, neutral, balanced maneuvers around twisty canyon roads. 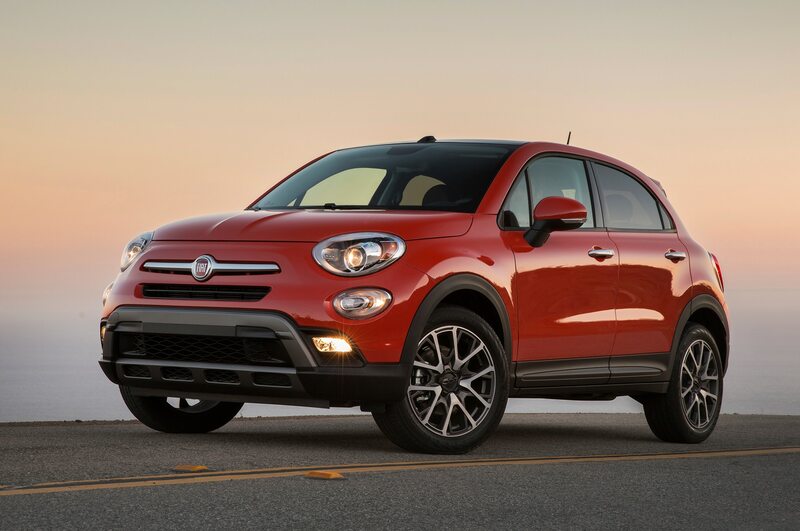 Except for the $20,900 base Pop model — which comes with a 160-hp, 1.4-liter MultiAir turbo-four, standard six-speed manual, and only with front-wheel drive — a 180-hp, 2.4-liter MultiAir2 inline-four and nine-speed automatic are standard. 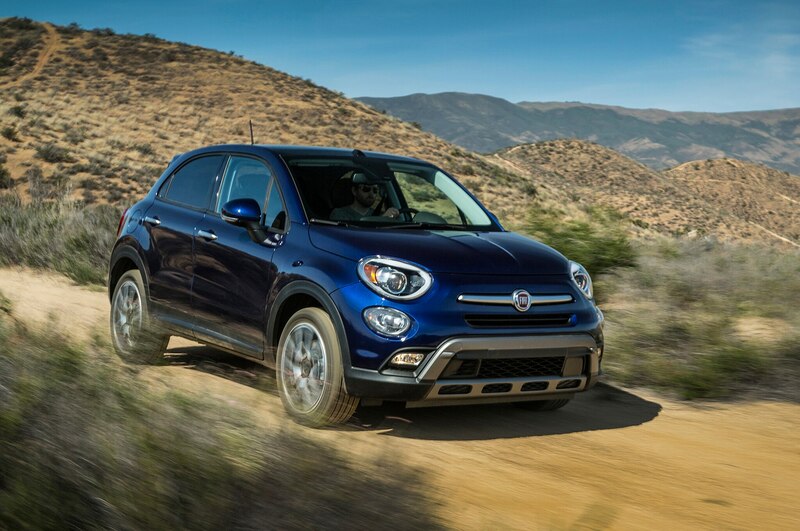 All but the base can be had with front- or all-wheel drive, the latter with a decoupling feature when rear-wheel traction is not needed. 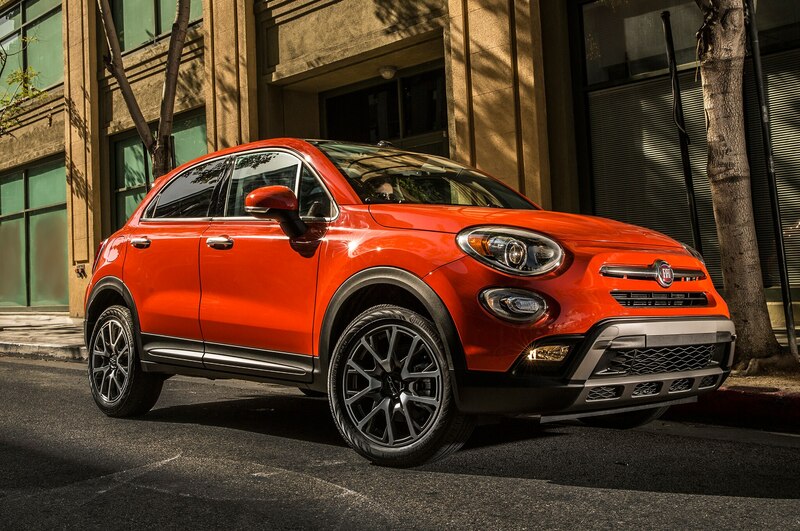 The $23,200 Easy and $25,740 Lounge make up the Street series. 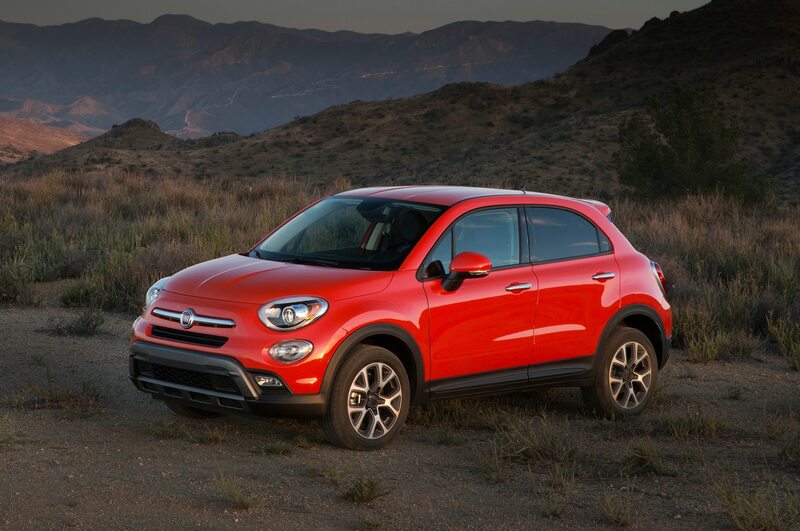 The other two trim levels are the $24,000 Trekking and $28,000 Trekking Plus. 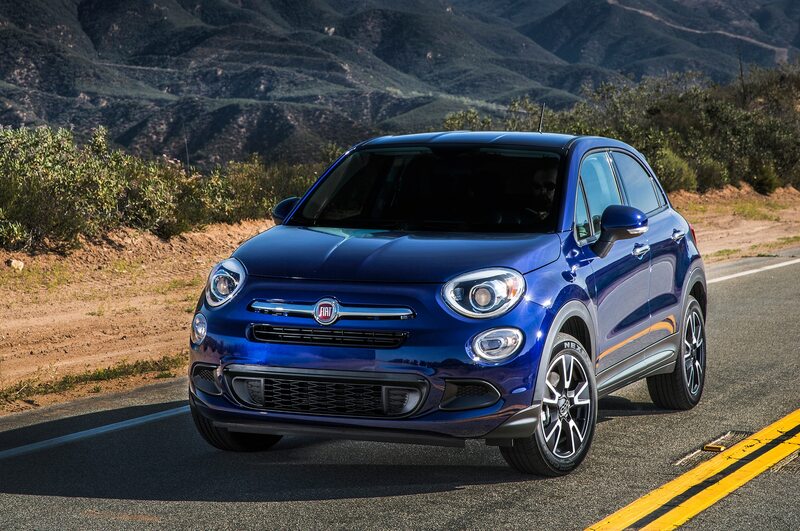 That comparison diminishes when the 2016 Fiat 500X’s 16-, 17-, or 18-inch tires hit the road. 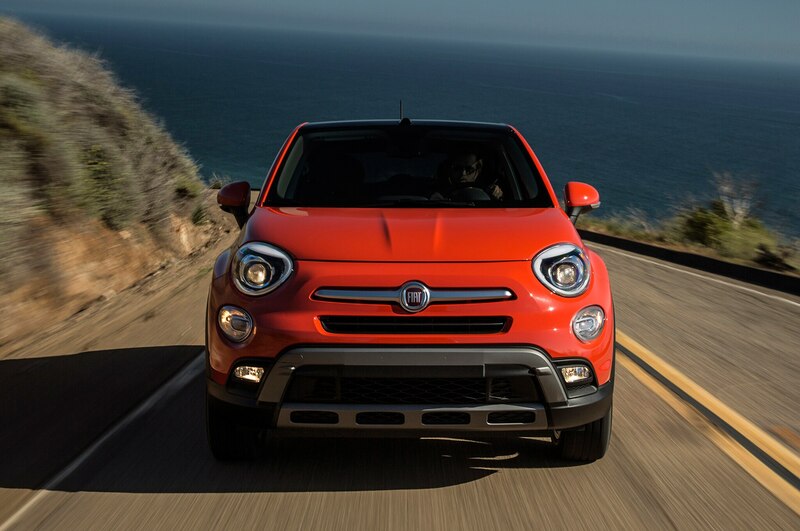 On the freeway heading north from L.A. to the canyon roads, in auto mode, the steering feels a bit loose, and the lane-departure control makes itself known as it nudges the thickly padded steering wheel between the lines. 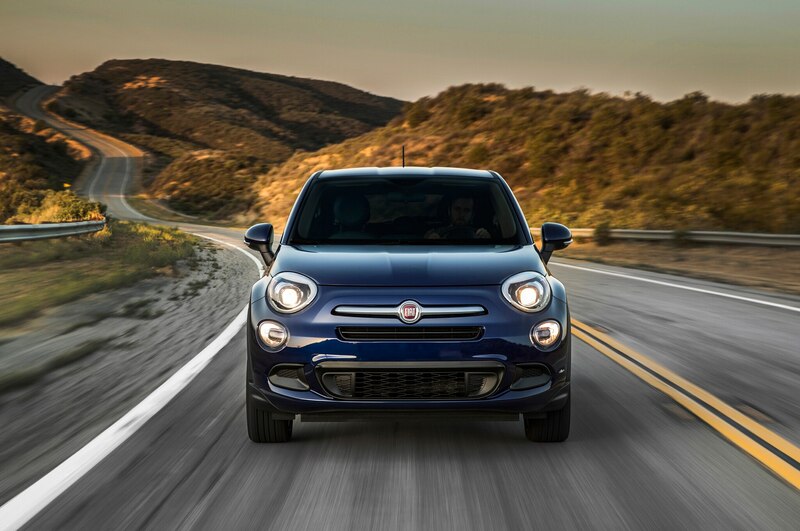 The nine-speed upshifts aggressively, having managed to shift into second even before slowly pulling out of a parking lot, though you may never see the instrument gauge show it in eighth or ninth. 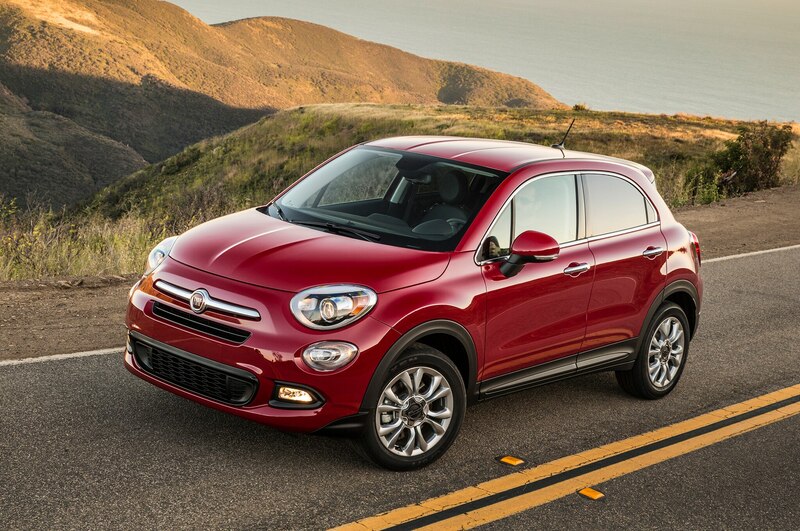 Our car was a 2016 Fiat 500X Lounge model with FWD and a handsome “premium cloth” interior. 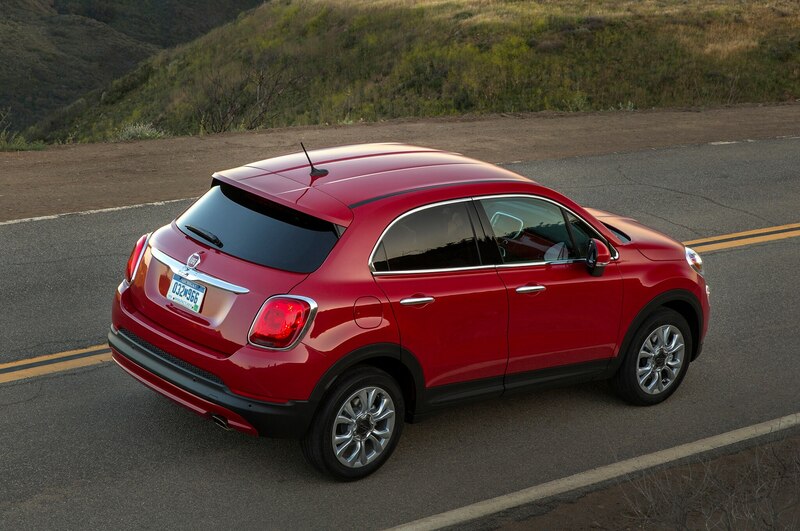 The as-tested price is $26,100, which should be close to the average sticker for this model — a good value. 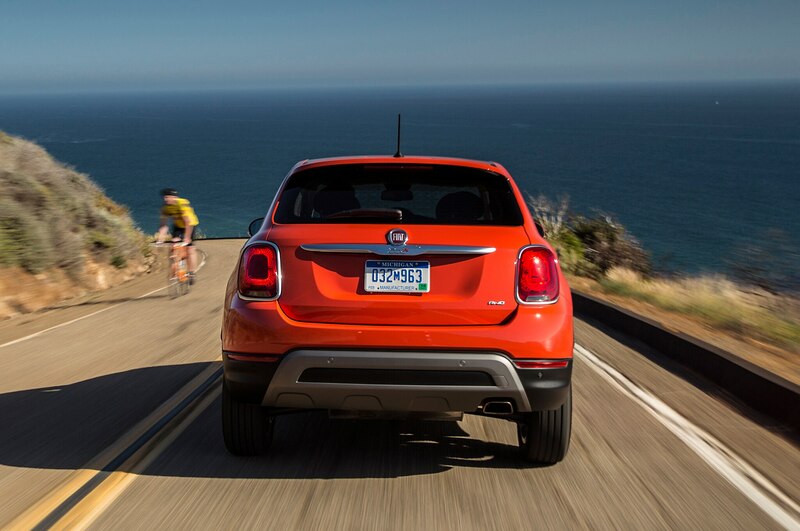 Under normal loads, the Tigershark four-cylinder accelerates smoothly, quietly, and quickly enough for L.A. traffic, though give it heavy throttle and it gets thrashy. 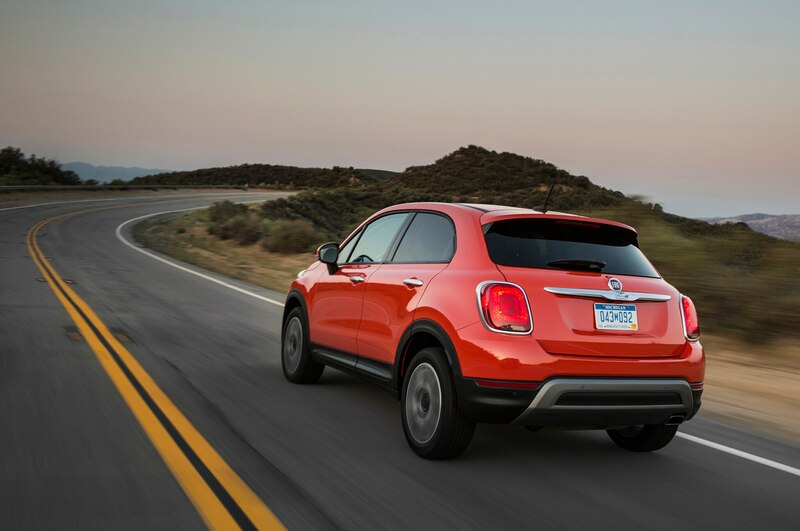 The nine-speed still needs work. 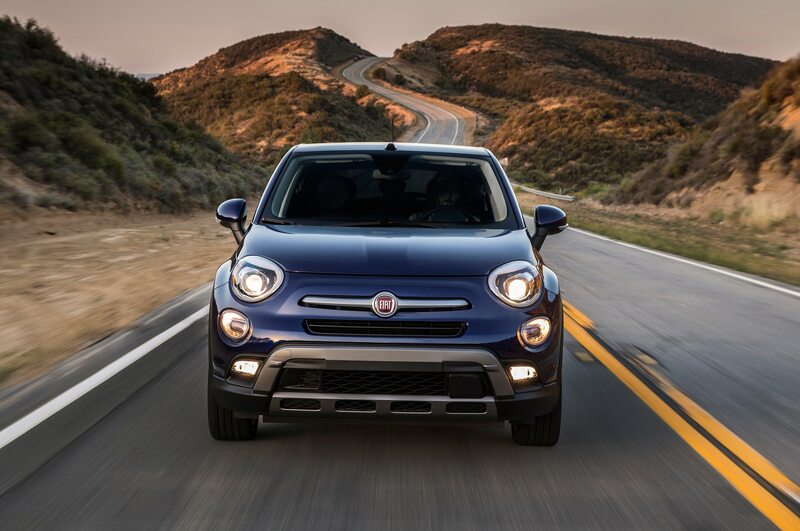 Switch to Sport, and it will hold a gear longer (or it’s even better to shift it yourself with the gear-selector — there are no paddles). 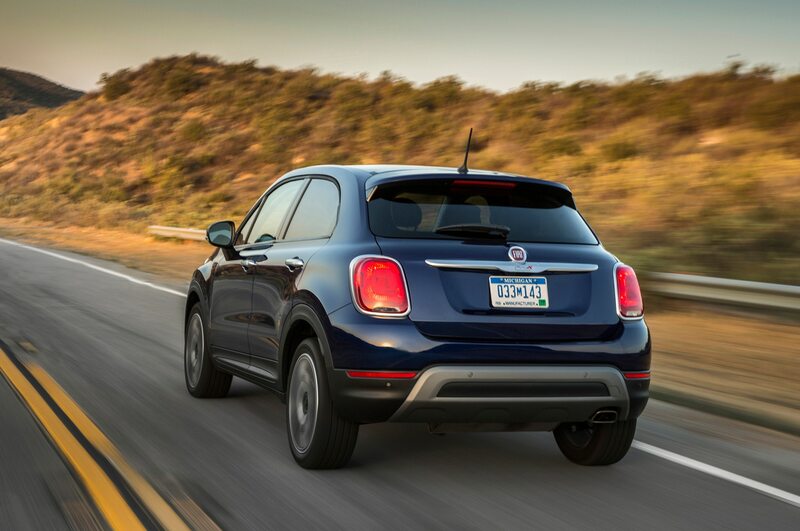 This works well as you continue to accelerate, but back off the throttle when you run up toward traffic ahead and it keeps winding in the higher gear. 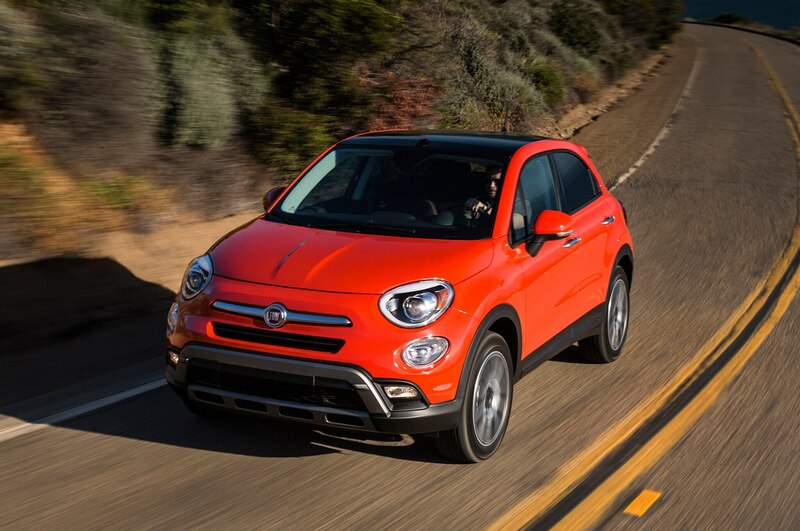 Traffic blunted this humble reporter’s attempt to come closer to the chassis’ limits on the canyon roads, though our co-driver from magazine Brand X had better luck after the driver change. 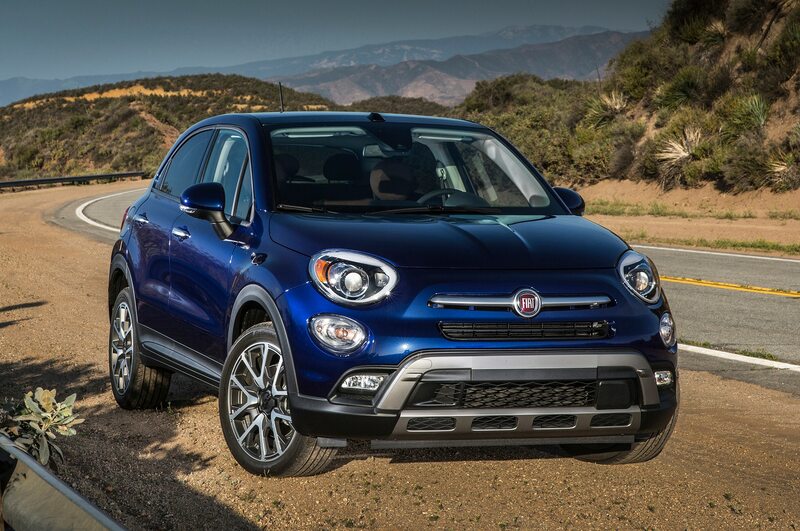 It was apparent even at moderate speeds that the 2016 Fiat 500X has a nicely buttoned-down chassis, with a good ride/handling balance. 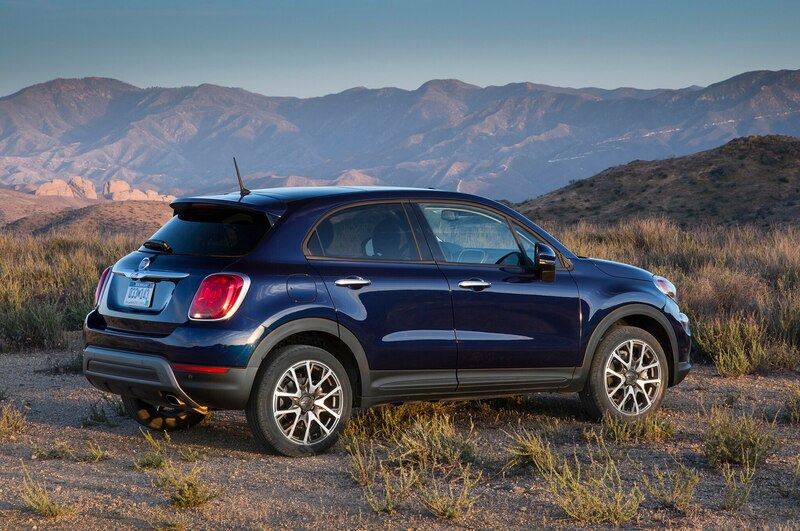 Sport mode tightens up the electric-assist power steering, giving it just the right weight with feel and feedback, even with the midlevel Nexen CP971 215/55R-17 tires. 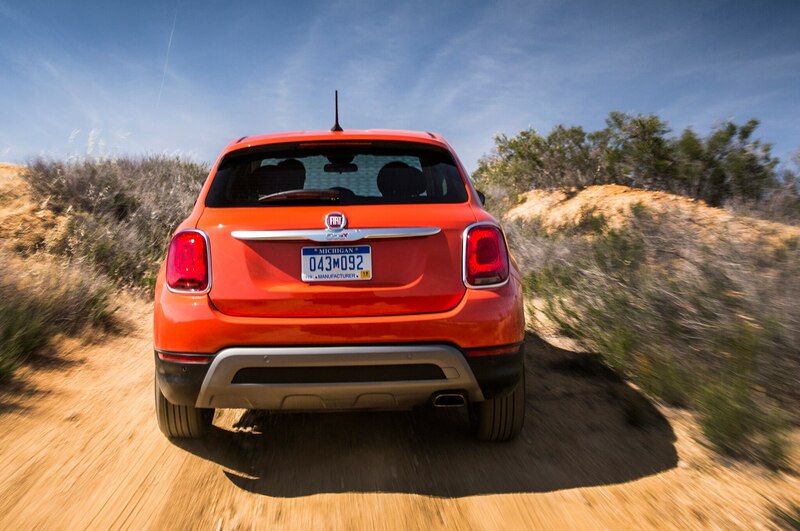 Aggressive damping gives it a firm, solid feeling over canyon road whoop-de-doos. 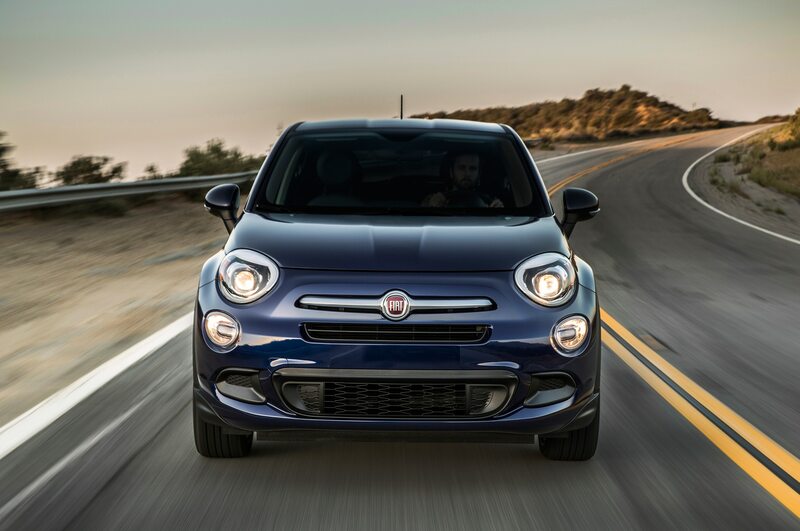 Our co-driver confirms the feel from the passenger seat; there is minimal understeer, not much yaw, and an ability to rotate in the corners. 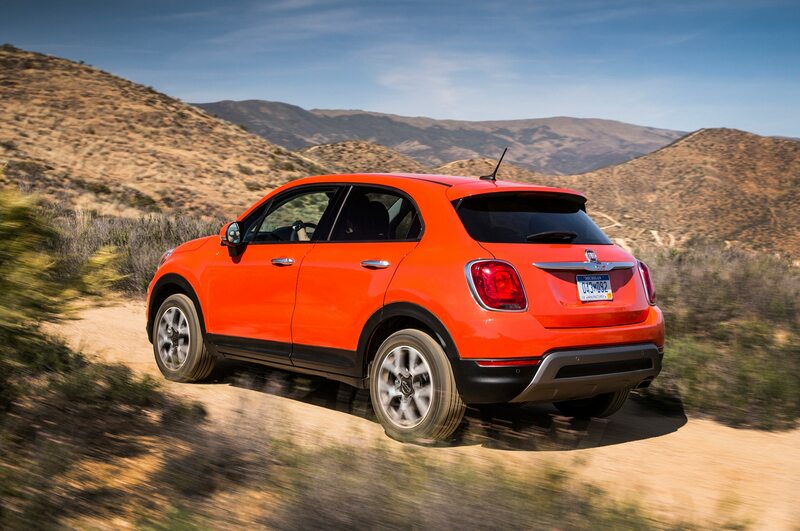 It’s not as kid-rally-racer radical as the Nissan Juke, but it’s also not as harsh as the pricey Mini Countryman. 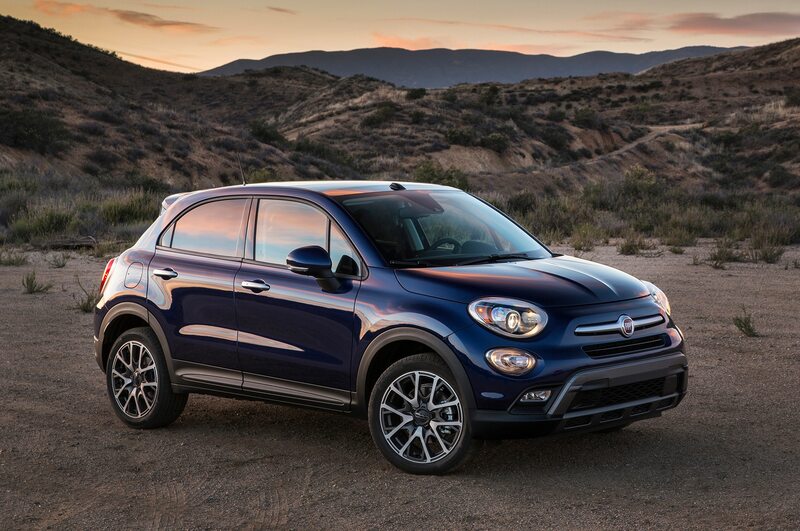 Overall, the first impression is that it would be a competent companion to an enthusiast’s sports car, though also a good recommendation for your non-enthusiast neighbor. 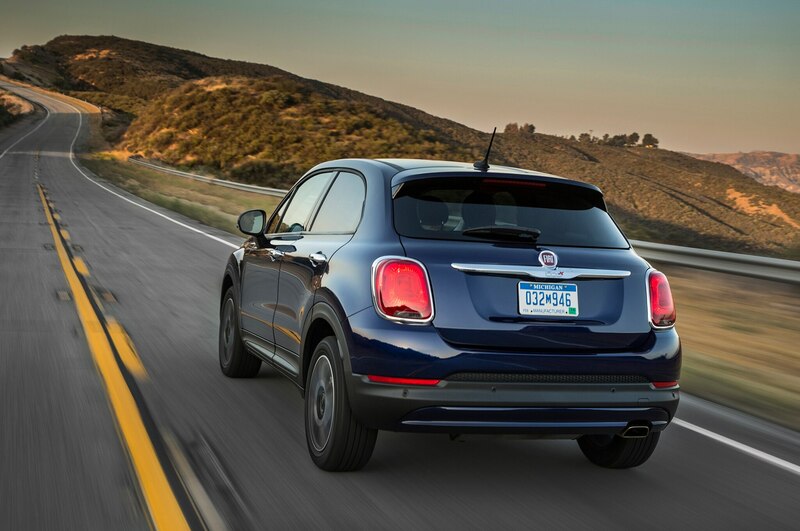 The base Pop model, sampled in a short loop around L.A., can’t be recommended, even if you must have a manual gearbox. 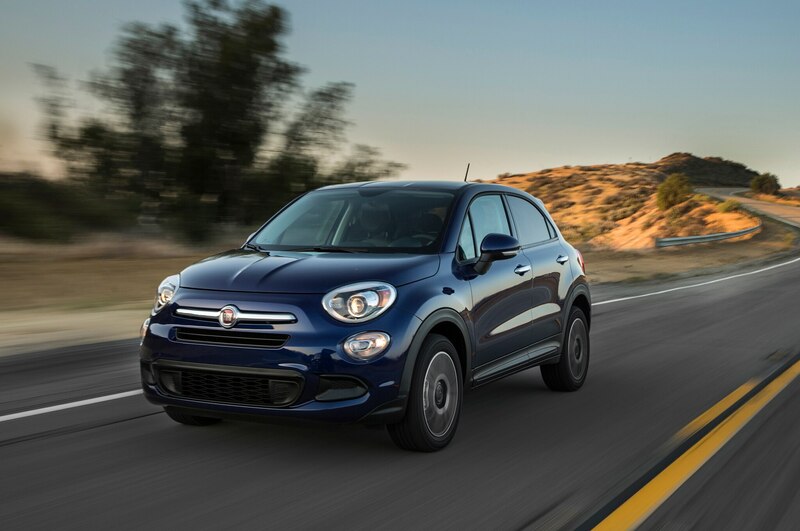 The less powerful turbo-four makes the 500X feel bigger, heavier, and more awkward, and when the turbo kicks in all you get is torque-steer. 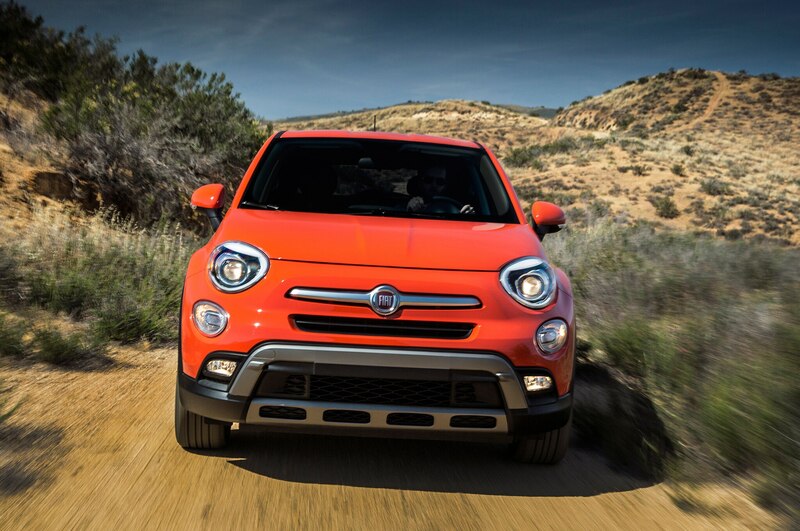 The manual gearbox feels loose and vague. 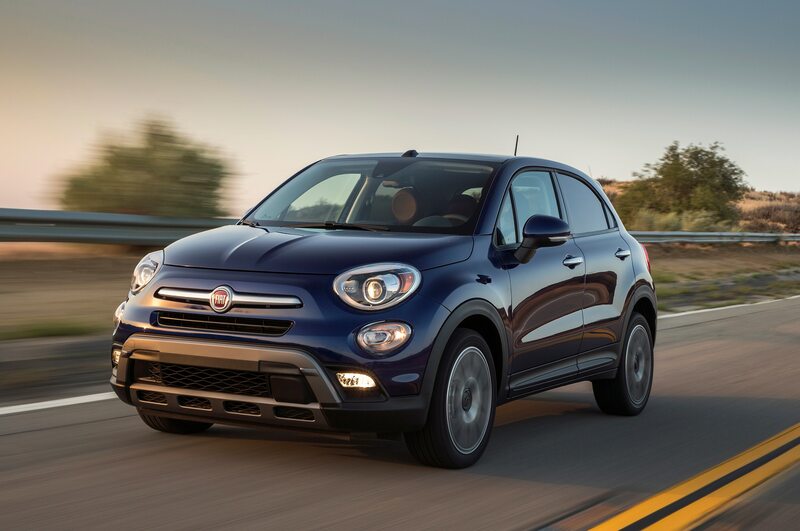 However, Fiat insiders hold out hope that the stick shift could be extended to a wider range of trim levels and thus to the MultiAir2 (and, we hope, with revised linkage) just as it was widened for the Fiat 500 two-door hatchback after its launch. 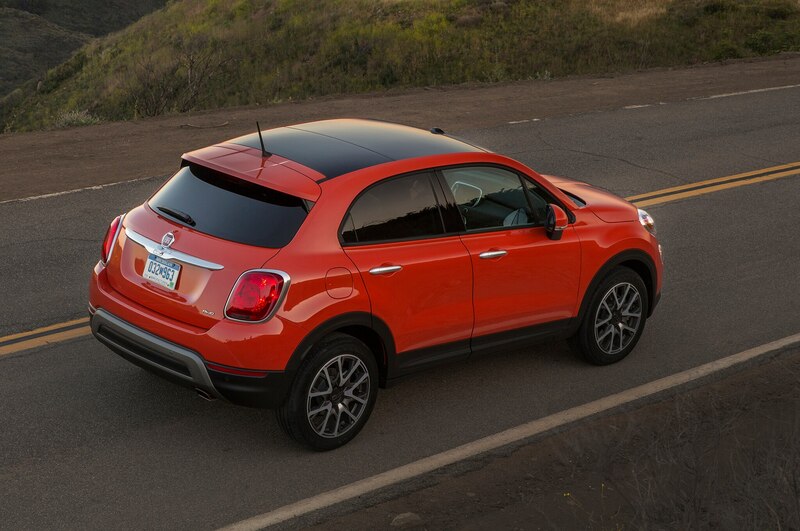 (Fiat 500X Abarth, anyone?) 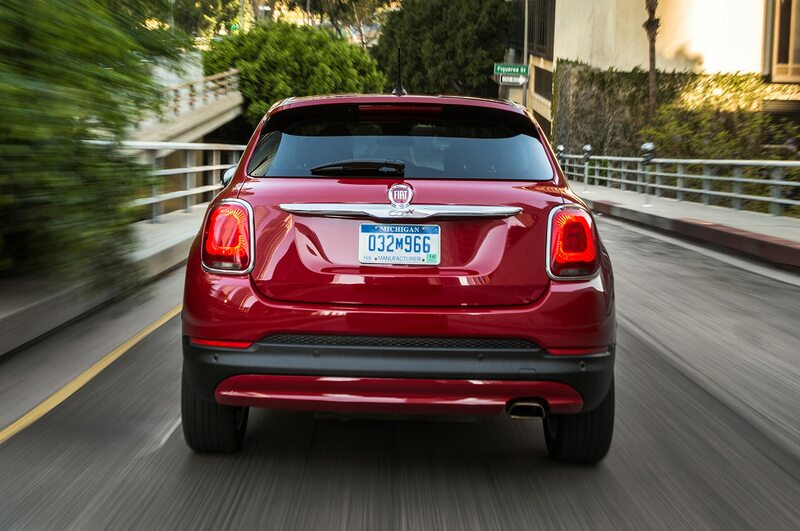 The hundreds of us who want it that way would be grateful. 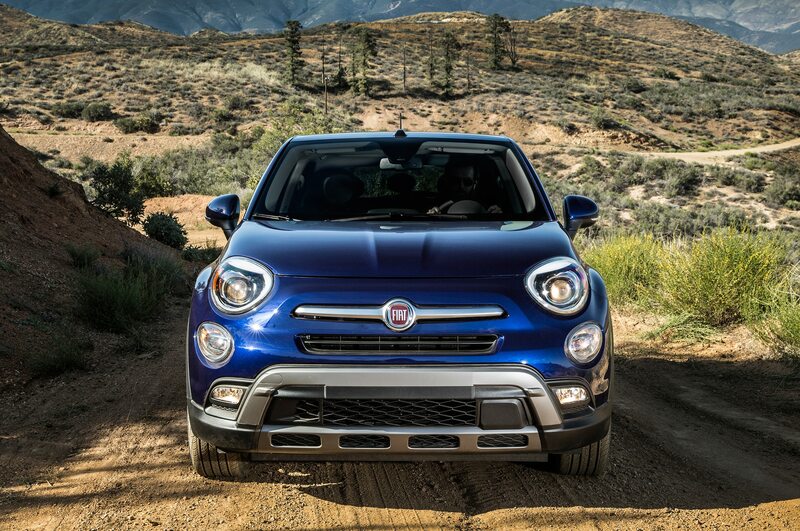 We also drove an AWD Fiat 500X Trekking Plus on the short loop. 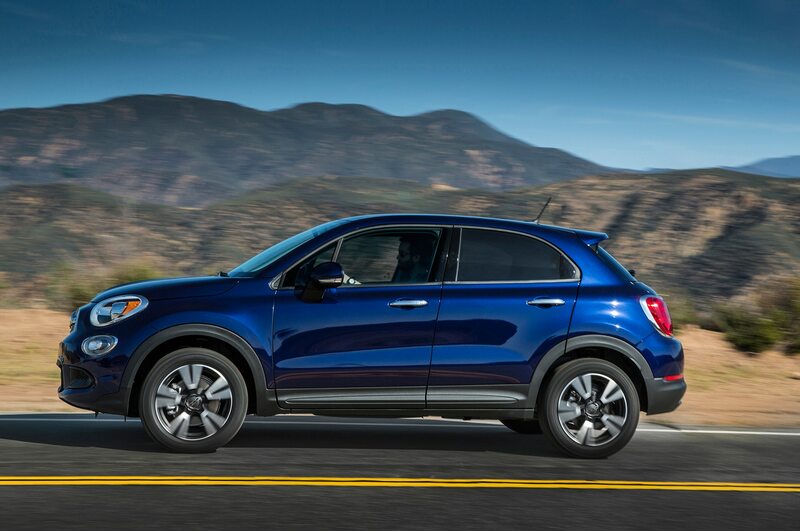 Equipped with a dual-pane sunroof, Beats premium audio system, and 215/55R-18 Continental tires, it felt as balanced and planted as the midlevel FWD Lounge. 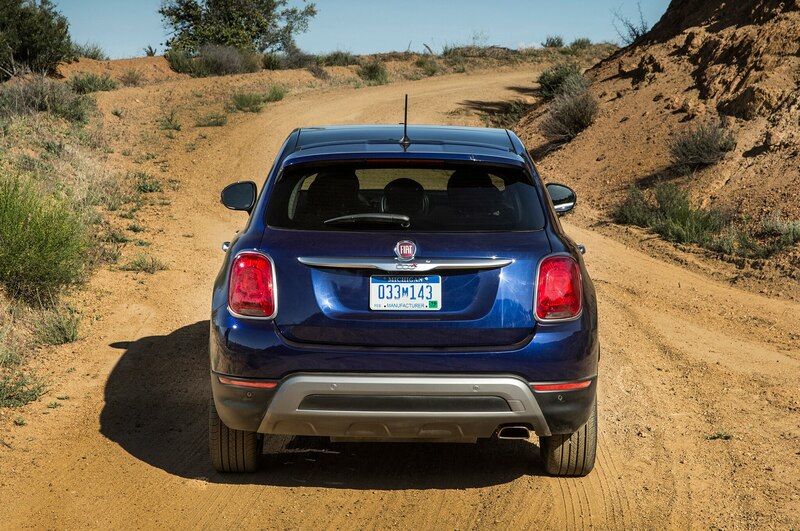 But on this short drive, it showed no advantages to suggest the need for AWD or to go Trekking. 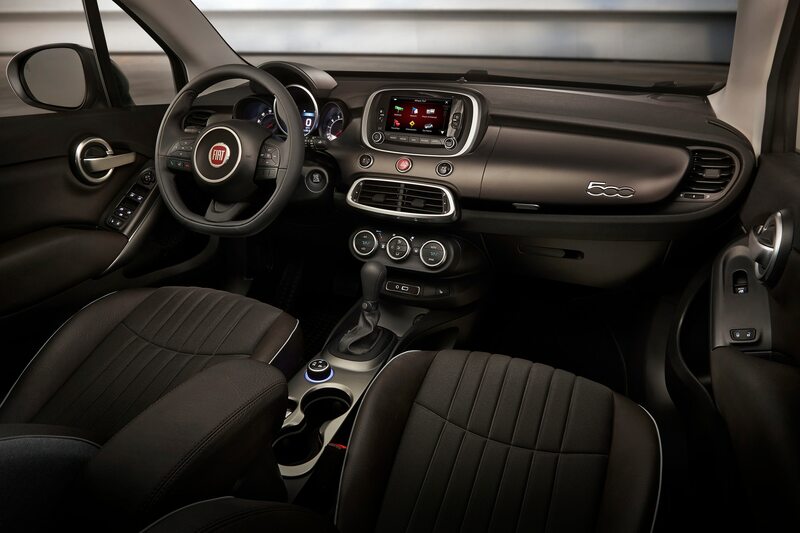 It may come down to your taste for various interior trims — all from Pop to Trekking Plus have nicer material finishes than this price segment would suggest, with thickly padded door panels and armrests. 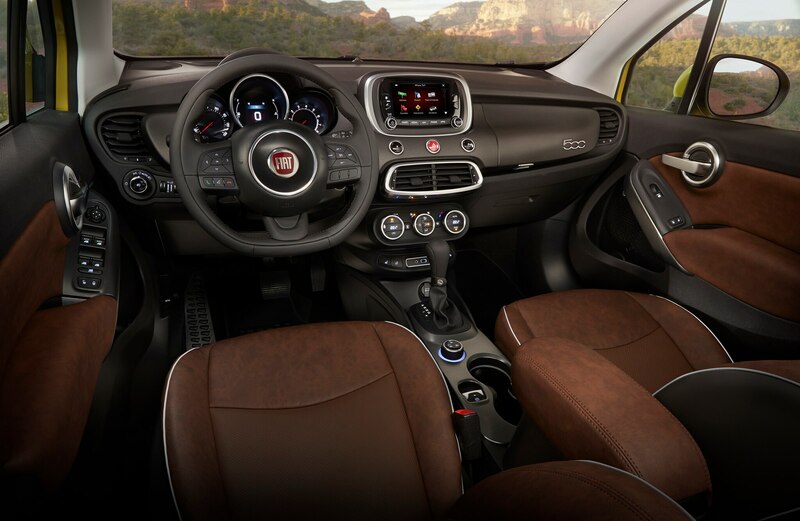 The rear seat has enough space for 6-footers thanks to a tall seat cushion, though with just a fraction of an inch space below the headliner. 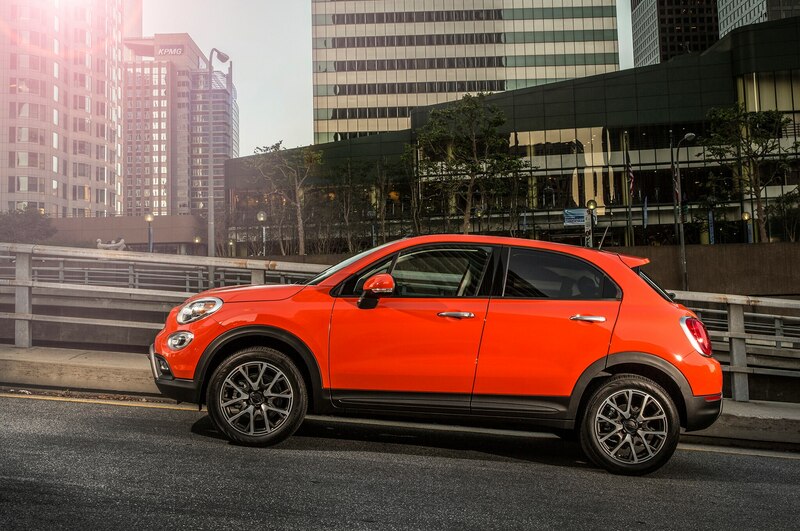 If you live in the snowbelt, you might think you need AWD, but for our money, we’d go with FWD, spend the savings on winter tires, and play up the 2016 Fiat 500X’s street cred. 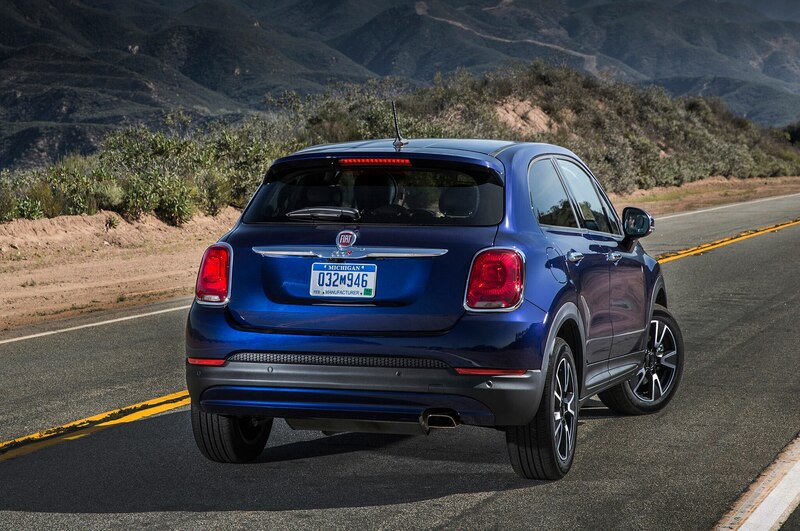 Eyes Countryman JCW and Juke Nismo.